My name is Matt. I have have always been interested in Hacking, be it hardware or software. Anything and everything that can be manipulated to enhance my interaction with it draws me in like flies on s***. Picking or manipulating locks came to my attention a few years ago while off roading in northern CA. Long story short, a friend from the army showed me how ridiculous it was to spend money on any lock made by Master Lock, bypassing a forestry gate in under a min. (maybe less, I just remeber turning to get some water and looking back to see his stupid grin with an open lock in his hand). Ever since, I have been loosely addicted to lock manipulation, taking any opportunity I could to better my skills and understanding. I found this forum after the purchase of a few safes that I bought online for 100 bucks each. 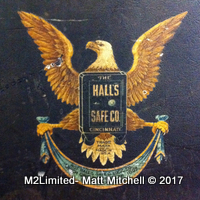 A 1873 Hall's Safe and Lock Co. Floor Safe with a 4 number combo in OK shape but fully working...and locked. and a 1980s GSA Class 6 Field safe with a Mosler 302 Group 1r Lock (3 number combo) that came right out of service. It was open but no combo known. If it were not for the insights and time of the members on this site I would have never been able to access and manipulate these devices with anything less then carbide drills or cutting torches. I hope I can contribute in the future but for now thanks for having me. PS - BEST EMOJI's of ANY FORUM I have ever SEEN!!! Re: Thanks for all the time and effort ADMINS! and Members!! That GSA safe should have been set to 50-25-50. Was it? Thats what I had been told, it was not however. Someone slipped up or my guess, sometime after EOL took it out of service, someone tried to change the combo. After removing the back plate and the wheel lock I found it set at 50, 43, 62. I would have never thought of looking there for the indicators but thanks to this forum, It became possible. If I can post any pix that would be of interest please let me know. I still have the Safe and feel like giving back if I can. I would love to see photos of the Hall's safe. I'm working on a safe that is similar. Pictures of the lock, and if possible the bolt works. I think you're right, this site is great. I’d like to see the pics of the indicators mentioned. Jharvee, what kind of work do you need to do on the bolt-works? Have freed up some pretty ruseted bolt-works on a safe I’ve been trying to restore, and was completely successful in getting them into smoothly operating condition. So if that is your concern, can give some tips. Please excuse the state of 1873 Hall's, Im nickle plating at the moment and all the screws are in an acid bath. I did my best to reassemble w/o them. The GSA Mosler 302 pics have notes on them but if you have a question, Ill most likely be able to answer. I do have one of my own, please see photos, I look forward to comments or criticisms. I really feel like I need to contribute at the level I have enjoyed by all the other members here. SO, if I can do it better, let me know. I'm not easily offended. If There are angles I missed or further questions, let me know. They are helpful for me. Thank you. A few more photos of the 1873 Hall's Safe 4 Wheel with False Gates. A big welcome to you sir. Some extremely nice photos you've presented us with. I like! Great job on opening the Hall. Care to elaborate on how it went? Your method. Gate sigs; how wide - how deep? binding order? etc. Thanks for sharing your experiences and the very nice pictures. 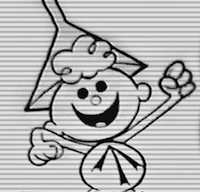 Belated welcome to the forum. Oldfast wrote: A big welcome to you sir. I regret to inform you that I cheated, a buddy of mine loaned me is Olympus Delta xrf Spectrum analyser and so I was able to deduce when all the gates were in position by taking live samples and rotating until the brass PPM dropped to its lowest point. Totally cheating. From what I have read on this forum the hall was far and above my skill level and I have a certain propensity to avoid paying for things that I can do myself.